Stocks are moving on quarterly earnings this week, and eBay Inc (NASDAQ:EBAY) is no exception. Investors sent eBay Inc stock lower in after-hours trading on Wednesday, despite the e-commerce company posting a 19% increase in profit for its first quarter. Unfortunately, double-digit increases in both revenue and profit weren’t enough to stop shares of eBay from dipping more than 5% at the market open today. What’s really going on with this Internet darling? Slowing sales growth in eBay Inc (NASDAQ:EBAY)’s PayPal division coupled with a weaker-than-expected forecast for the company’s second quarter is the real culprit. The company issued second quarter earnings guidance of $0.61 to $0.63, and revenue between $3.8 billion and $3.9 billion. For comparison, analysts had expected earnings of $0.66 per share on revenue of $3.95 billion. The market failed to factor in the fact that eBay’s full-year guidance remains the same. This tells investors that eBay’s transformation is readily underway, and that its long-term growth trajectory is still intact. It’s also important to note that eBay Inc (NASDAQ:EBAY) is up about 55% in the last year, whereas rival e-commerce giant Amazon.com, Inc. (NASDAQ:AMZN) is up 41% for the year. Additionally, what the recent decline in the stock doesn’t show is that eBay is on its way to becoming a global powerhouse. Much like its rival Amazon, eBay is a long-term investment play. Alas, quarterly earnings forecasts can distract investors from taking a bigger picture view, which is often necessary when investing in a growth stock or turnaround story, such as eBay. In an effort to reinvigorate its namesake marketplace, eBay Inc (NASDAQ:EBAY) is taking a page out of Amazon.com, Inc. (NASDAQ:AMZN)’s playbook. Similar to Amazon’s pricing structure, third-party sellers on eBay’s platform are now able to list products free, and simply pay a flat sales fee on the final value of the item sold. 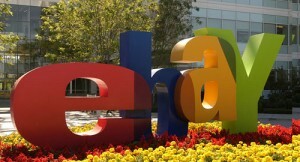 This strategy appears to be working, as eBay added 3.9 million new users to its online marketplace in the first quarter. Moreover, eBay CEO John Donahoe aims to double the company’s active user base in the next two years, with the goal of reaching $300 billion in sales and PayPal payments by 2015. While this is certainly ambitious, eBay is well-positioned in mobile, and has a growing network of large retail partners — two growth drivers that should push the stock higher in future quarters. Amazon.com, Inc. (NASDAQ:AMZN) may be eBay Inc (NASDAQ:EBAY)’s biggest competitor today; although, where the stocks are concerned, eBay is the name to own today. To that end, Amazon trades at more than 74 times next year’s earnings, which makes the stock look wildly overpriced. eBay, on the other hand, trades at just 17 times fiscal 2014 earnings. The article Why Now Is the Time to Buy eBay Stock originally appeared on Fool.com. Fool contributor Tamara Rutter owns shares of Amazon.com and eBay. The Motley Fool recommends Amazon.com and eBay. The Motley Fool owns shares of Amazon.com and eBay. Bed Bath & Beyond Inc. (BBBY): Time to Buy This Value Stock? Price-Gainers News: Theravance Inc (THRX), Travelzoo Inc (TZOO), Arch Coal... eBay Inc (EBAY) Beats eBay Inc (EBAY)’s Earnings Were Close, But.. Rackspace Hosting, Inc. (RAX), Amazon.com, Inc. (AMZN): The Cloud War What If Apple Inc. (AAPL) Traded Like One of These Companies?